One of the major worries of the Facebook users is their profile picture security. 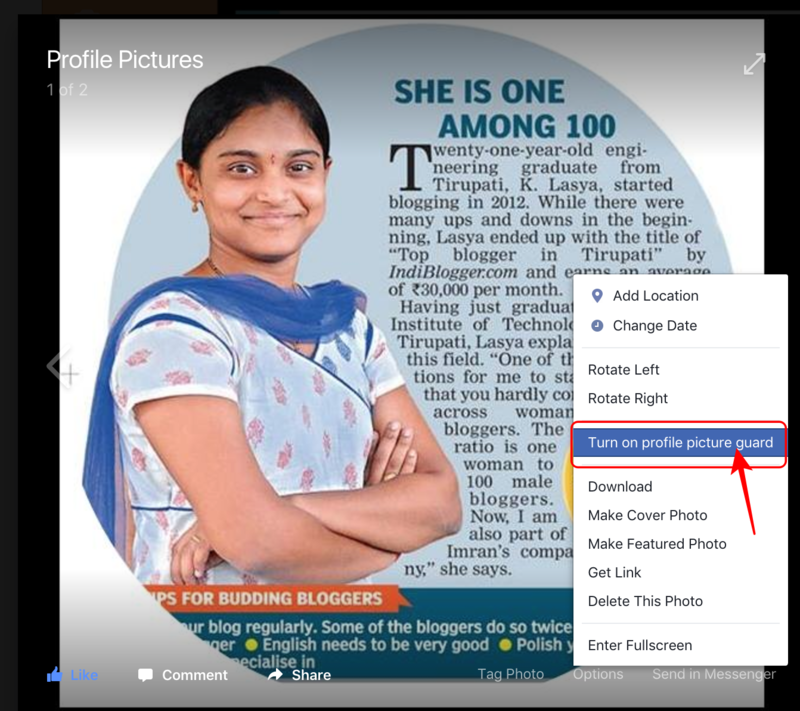 Though we enable security setting to our profile picture, still there are chances to download or to take a screenshot of our Facebook profile photo. To solve this problem, Facebook has launched a new protection tool, where strangers cannot download or take a screenshot of our profile picture. Awesome isn’t it? Let us see how it works and how can we enable our profile photo protection. From the blog of the world’s most famous social network, Facebook has announced the launch of a new functionality that aims to end theft of images on the platform and problems of identity theft. 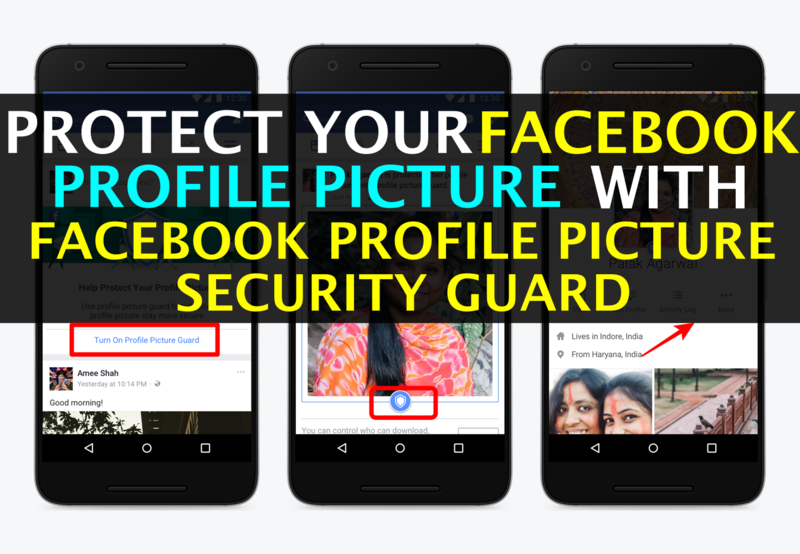 In this way, you can safeguard your Facebook profile photo against the clutches of strangers, cyber criminals or scammers. The idea of implementing this measure arose in India, a country in which many women fear for their privacy and give up on keeping their profile photo on Facebook account. So Facebook decided to ensure security with this tool, developed jointly with security companies in India. The function, which will begin to reach more places over the next few months has already been operating in the Asian country since last Wednesday. The tool is characterised by being extremely simple since to start the profile picture protection, it is necessary to activate a protective shield, which will prevent other users from being able to download your profile photo or share it or send it in a message. According to Facebook, this problem happens mostly with unknown people by the user, and therefore has no aggregates. If the user has the privacy settings set correctly, in many cases the stranger can only access his profile photo. In addition, to further prevent other users from getting profile photographs, the social network has launched specific modifications in its application for Android devices – although it already works on other operating systems – in order to prevent users from taking screenshots. Facebook will also not allow users to be tagged in outside profile photos. The change is hard to be noticed in the profile photo except for a small shield icon that will appear at the bottom of our Facebook profile image, indicating that we are protected from strangers or any other and that our security is greater. 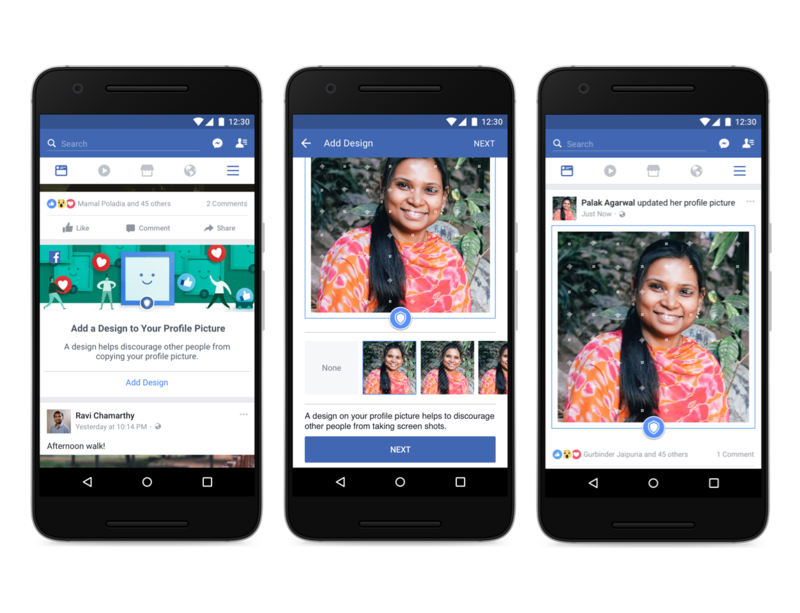 Another measure taken by Facebook is, it allows the overlay of some design with profile photos, among different patterns. According to Facebook, is due to an investigation that indicates that an additional design layer in a profile image of other users causes that there is a 75% less probability of copying it. 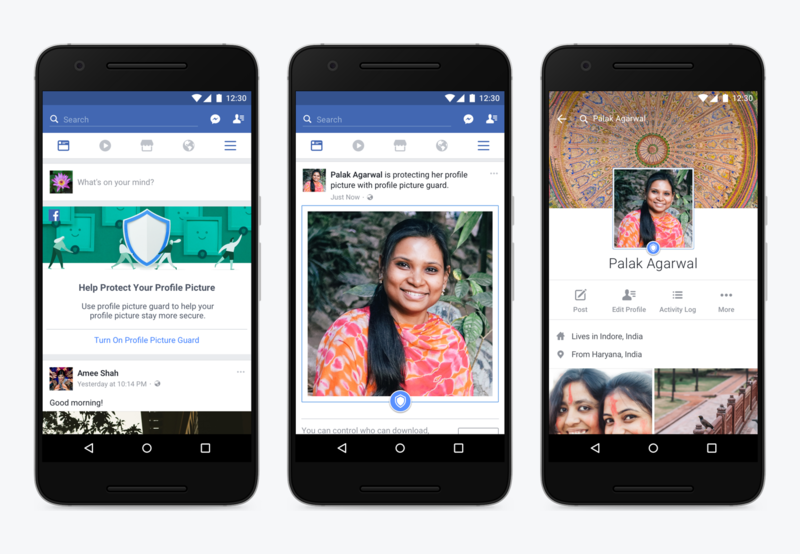 At the moment the tools are being tested in India, one of the fastest growing markets for Facebook users. Its gradual deployment will begin this Wednesday and will be completed before June 27 throughout the country. After being tested and implemented in India, those of Zuckerberg say they intend to expand these measures and take them to other countries around the world. Follow the steps below to activate your profile picture security guard. Step 5: Next click on the Save option to activate the Facebook profile picture security guard. Step 6: That is it you are done. 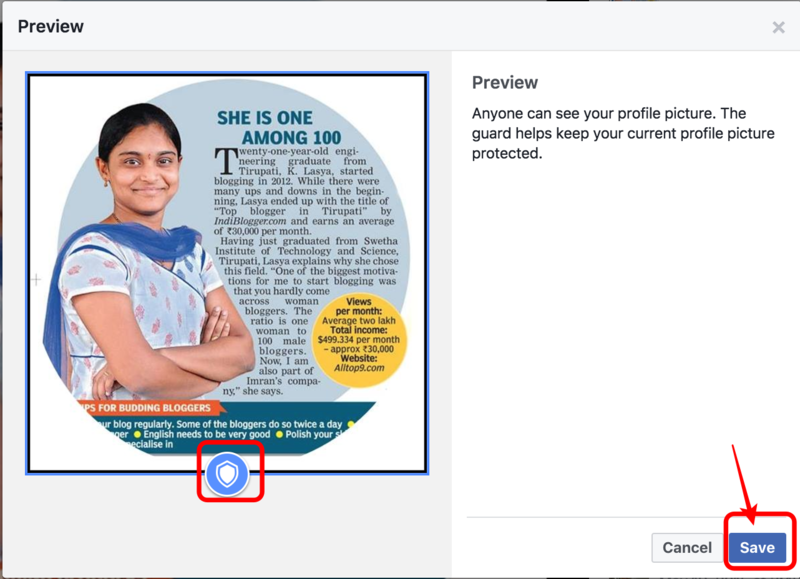 Now you can see your profile picture with that Guard button on your photo in your Facebook profile. Everything till step 5 is same. Instead of turning On, we will have an option to Turn Off. Click on that option and save the settings. That’s it you are done. This is how we will secure our Facebook profile pictures from taking screenshots, downloading or sharing by strangers. 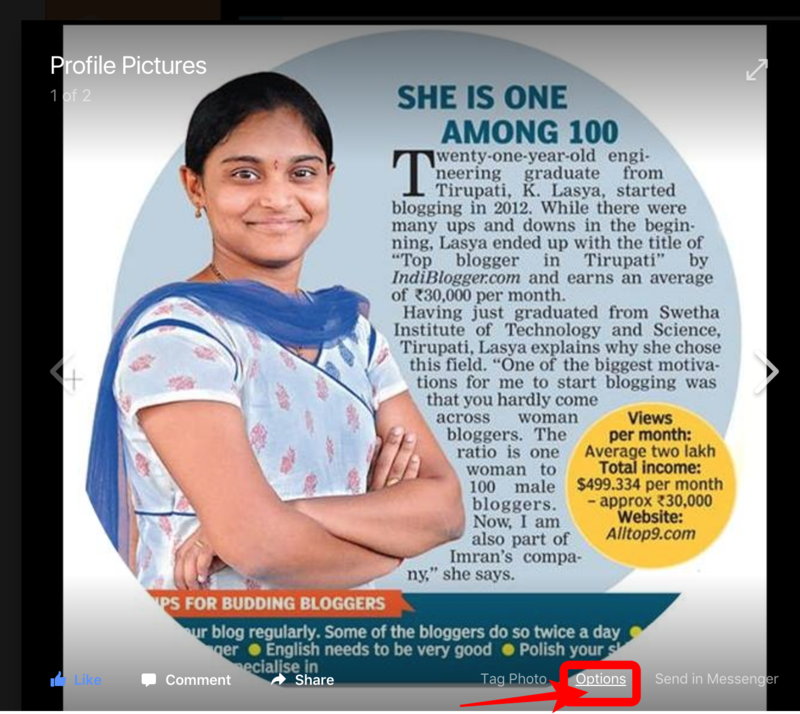 I hope this article will help everyone to secure their Facebook profile photos. If you have any queries while following the above method, let us know in the below comments. We will get back to you to solve all your doubts as soon as possible. What do you think about this new Facebook profile picture security guard? i don’t get the option of profile picture gaurd in my profile..what i do?? Facebook has rolled out to almost everyone. Kindly check once again and if not, we have to wait till you reach that update.